Ronan Keating was right on the money when he said “you deserve to be selling records all over the world” to Sydney brother and sister trio Audio Vixen during last year’s edition of ‘The X Factor’. It’s taken Ria, Christine and Ross a little while to capitalise on their appearance on the hit TV show (apart from a range of live appearances throughout the past 12 months), but now they’re ready to take on the world with their debut EP ‘Morning Of My Life’. The three track digital release features a cover of the ’60s Bee Gees song ‘Morning Of My Life’, along with two original tracks ‘Paper Mache’ and ‘Losing You’ – and it’s all been completely self-funded and will be released independently. As on the show, the lead single features the group’s trademark harmonies and treads the line somewhere between mainstream, adult contemporary and country. It’s entirely likeable. 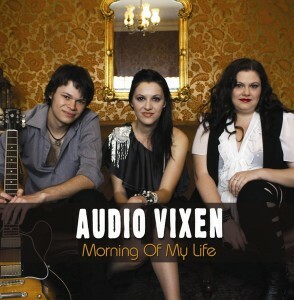 Audio Vixen’s debut EP ‘Morning Of My Life’ is due for digital release on Monday August 06.